NHS England will only have to pay for Janssen's new hepatitis C treatment Olysio if a patient manages to clear the virus. The innovative 'pay if you clear' scheme marks a new way of dealing with the struggle for market access in the UK for pharma companies, with Janssen offsetting the cost of the drug if a patient remains infected after 12 weeks of treatment. 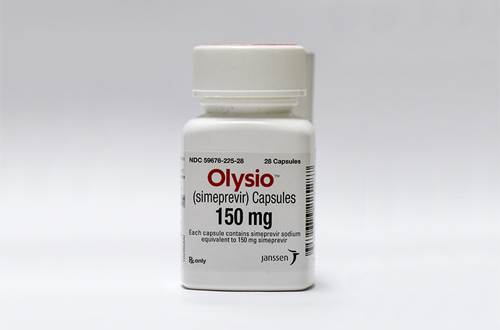 Olysio (simeprevir) is one of several new oral drugs that mark a major step forward in hepatitis C treatment, alongside Gilead Science's Sovaldi (sofosbuvir) and AbbVie's regimen combining Viekirax (ombitasvir/paritaprevir/ritonavir) and Exviera (dasabuvir). The guidance for Olysio covers its use in combination with peginterferon alfa and ribavirin in both genotype 1 and genotype 4 forms of the condition, while a decision on an all-oral regimen – pairing Olysio and Sovaldi – is postponed while further data is collected. The drug is relatively pricey, costing £27,220 or £32,155 as part of a regimen involving peginterferon alfa and ribavirin depending on the length of treatment of the other two drugs. However, the no-risk cost of Olysio could give Janssen the edge in an NHS that is looking to cut spending and improve efficiency across the board. Janssen will also be keen to benefit from the delay in access to Sovaldi, which is unlikely to be offered on the NHS until August this year as funding measurements are put in place to pay for the high-price treatment. In addition to the payment scheme Janssen also announced it will fund blood tests for patients to be able to predict whether Olysio is likely to be effective before treatment is started. The company recommends that any patient not achieving a good response to triple-therapy treatment at 4 weeks should discontinue treatment. Mark Hicken, managing director for Janssen in the UK, said the scheme was a “great example of an innovative, collaborative partnership that can deliver benefits to both patients and healthcare providers”. The company's' UK medical director Peter Barnes described the scheme as a great example of medicines optimisation – an increasing priority for the NHS.